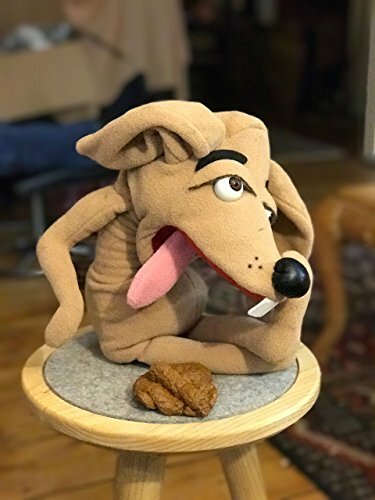 This is a hand crafted puppet which is a copy the original Jeffy's Dog puppet (designed, made and copyrighted by Evelinka from Etsy Beacon Art Studios llc) for Supermariologan. Each puppet is hand crafted and is one of its kind. They will look very much like the Dog puppets but still have their own personal self. The pictures are of other Dog puppets. The one you will order is not made yet, he will be made just for you. He comes with his own poop and a 12 inch metal rod. Packed in a fabric bag. NOTE TO UK Buyers: Her Majesty's Customs Service could charge you up to £25.03 Duty Fees for you to get the puppet. If you have any questions about this product by Evelinka Puppets From Beacon Art Studios, contact us by completing and submitting the form below. If you are looking for a specif part number, please include it with your message.